Do You Need a Dust Collection System for Your Workshop? No matter the size of your workshop, you need to invest in a good dust collection system to keep your lungs healthy. Learn more about it including your options. Millions of people process wood worldwide, and these workers are susceptible to the negative effects of wood dust. This poses as a major risk factor for a variety of diseases with emphasis on cancer and respiratory issues. People working in an industrial factory are not the only ones at risk, though. Even those with a garage-turned-workshop are vulnerable to such consequences. In fact, they may be more sensitive as they sometimes don’t observe safety procedures, such as wearing appropriate clothing and having a dust collection system in place. If you believe your workshop is too small for a dust collector, you’re more than wrong. Read the following reasons that will convince you to buy one ASAP. Who doesn’t like working in a clean environment? First off, it improves the morale and increases motivation. Even if you’re the only one using the shop for DIY improvements in your home, it pays to keep yourself happy with your workspace. Stepping into a clean workshop starts the task on a positive note and being comfortable throughout allows you to perform at your best. However, what’s more important is that a clean working area keeps you and your equipment safe. There is no dust on the floor to cause slips, no dust in the air that pose a health hazard, and there is no dust in the equipment that might damage them. Inhaling and exposing yourself to all those particles can’t be good for our health, and even OSHA acknowledges that. According to the government agency, prolonged exposure can cause our skin and lungs to become sensitive to wood dust. This may then lead to asthma, dermatitis, or other allergic reactions like irritation, nasal dryness, and colds. Even worse, it may lead to cancer. OSHA classifies wood dust as a carcinogen, especially that coming from some species of hardwood. The agency generally advices woodworkers to be wary of oak, mahogany, walnut, birch, elm, ash, and beech, which reports have revealed to cause nasal cancer. That’s why OSHA recommends a dust collection system, and it encourages people to clean it at regular intervals for maximum protection. Imagine slicing vegetables while smoke clouds your vision. You are more likely to cut a finger because you can’t exactly see what the knife is cutting. Now, imagine working in the shop with a cloud of dust. Woodworking equipment has the potential to be more dangerous than a knife. If the wood dust compromises the visibility, there’s no telling what can happen in a room full of machinery with sharp blades. There is safety equipment, like goggles and cut-resistant gloves, to lessen such risks, but this isn’t a reason to forego a dust collection system altogether. Non-machine-related accidents can still happen when you can’t see where you’re going. If several people work in the same room, the overall risks get an exponential increase. Dust can get everywhere – inside your body, in your clothes, and even inside your equipment. These particles are small, but they can cause a great deal of damage if you don’t mitigate them. Too much dust inside the equipment impacts the effectiveness and promotes surface degradation, corrosion, and mechanical wear. The combination of dust and water can also lead to the formation of acids that will accelerate these types of damages. Dust particles can also absorb moisture even if water does not come in direct contact with machines. The moisture makes the dust adhere to the surfaces, which is especially dangerous for electronics. If too much dust settles on the circuit cards, these may corrode and cause loss of data, computer problems, and such. When you don’t have to worry about wood dust, you can execute the task at hand to the best of your abilities. The cleanliness and the absence of carcinogens in the air will allow you to concentrate, and the positive feelings will leave you full of energy and self-confidence to accomplish more work in a day. This also works on a bigger scale. If your employees are happy, they will spend their time working and not looking for another company. Moreover, damaged machines from dust might work slower or even not at all. This will impact the rate of production and it might also cause frustrations. If every equipment works at an optimal performance, you’ll also spend less time repairing and more time doing actual work. We know that your mood affects the quality of the dish when cooking, so why shouldn’t it be the same in woodworking? Being comfortable and happy does not only boost productivity, it also clears your mind so that you can focus on the task, minimizing mistakes and crude work. An equipment in good condition also leads to better product quality, as well as a clean air. Dust and other contaminants might settle on the product in every step of the manufacturing process, which can result in flaws. Some chemicals can even give the product an unpleasant odor. Because of the health hazards of dust, there are laws and regulations in place to keep you and your workers safe in the workshop. Having a dust collection system, and using it, will allow you to comply with such regulations. 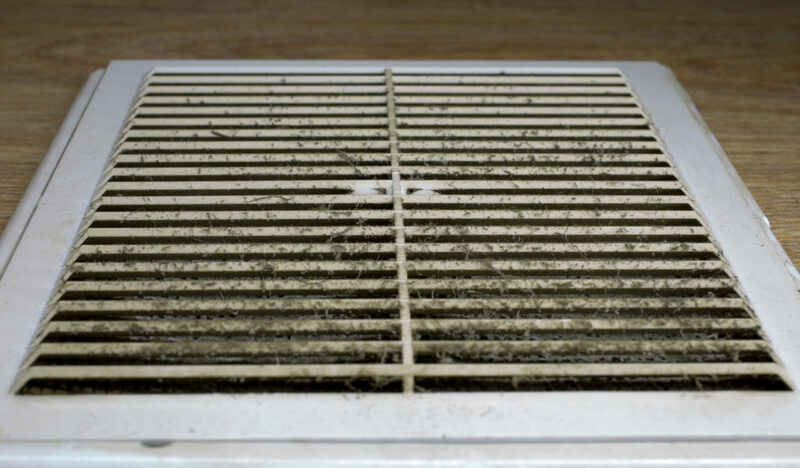 The American Fabric Filter website is one great place to find dust collectors that follow these regulations. The staff can help you out on any issues. In addition to the potential damages that wood dust can cause inside the workplace, it poses risks to the environment, too. Plants are guilty in particular of exhausting dust and other airborne contaminants outside for years in the past. Now, there are regulations to protect the earth as well, which should be a duty of every human. No matter the size of your workshop, whether you have a big area or a small garage, there’s a right dust collection system for you. Smaller ones may only need portable collectors, but you’ll definitely need to install one if you get a lot of work done. For other tips about your workshop or in other aspects of your life, check out our website. We cover a wide array of topics to help you give the best in everything you do. Contact us for any questions, we’d love to hear from you!